The school was founded by Gary in 1989, making us the oldest surf school in Cape Town. Our shop in Muizenberg is located on Beach road, its the first building on the right hand side - look out for Hang Ten cafe, we are inside. Muizenberg Beach is known for its gentle waves, white sand beach and colourful huts, here we offer level 1 beginner surf lessons as well as wetsuit & surfboard rentals. If you know how to stand up on a wave and want to improve your skills, our new Mobile Surf School offers level 2 intermediate surf lessons. 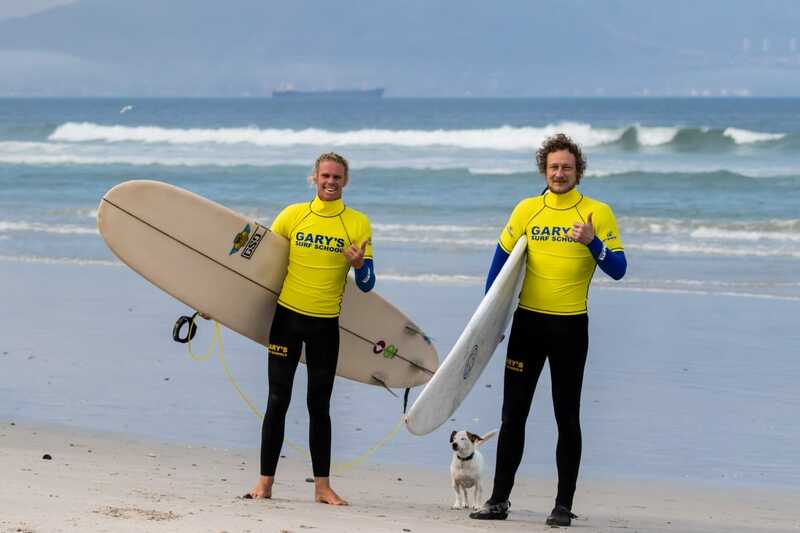 Gary's Mobile Surf School offers both beginner & intermediate transported & self-driven surf lessons at the following beaches in Cape Town depending on the weather conditions & your surfing ability: Longbeach, Witsands, Scarborough, Cape Point, Noordhoek, Llundudno, Blouberg. Whether you are a beginner or intermediate surfer, we've got you covered! With our solid reputation built on trust, service and results, there have been a few big names that have come out of the school and are on the WSL tour. Remember surfing is our passion and if we can't get you standing no-one will. We promise to make your surfing experience the best one in Cape Town!